It was weekend in Delhi. The cafes of Khan Market were still prepping for the day. The one we were in was quiet. We were the day’s first customers or nearly so. The man before me was athletic. He had an easy smile that hid an underlying intensity, which surfaced when he spoke about his life lost to fate and circumstance till step by step it gained wings. I pulled out my notebook; then took a sip from the cup of cappuccino. The story commenced at Baoli in Baghpat, roughly 50km away from Delhi. Arun was born the second of eight children – four brothers, four sisters. His father Jaswant Singh was a teacher at the government owned Central School. From class two onward, every year Arun succumbed to malaria. The annual bout of malaria would cease only when he reached his penultimate year of graduation in college. He grew up a weak child. He was a small person, typically seated up front in class and not robust to play any games. “ My son who is now in the eighth standard weighs 40 kilos. In class nine, I weighed 26 kilos,’’ Arun said. In class nine, another defining spate of illness started. Arun got an infection of the parotid gland, a major salivary gland located between the mouth and the ear. Its cure was a daily injection repeated 90 days. The course got over. But the infection continued. One side of the boy’s face was swollen, disfiguring his appearance. Around the time of class nine exams, he was taken to the larger hospital in Meerut. There, the doctors identified it as parotid tumour. After the exams, he was hospitalized for surgery. The tumour was removed. Within four months the tumour returned. In the winter of class ten, a second operation was scheduled and the tumour removed for a second time. Ahead of class ten exams, the tumour returned again. After the exams, Arun had his third surgery to remove the tumour. The family had thought of sending him for a diploma course in some trade. Arun cleared his tenth exams with decent scores and secured admission for studying commerce. His father, having moved to Delhi wished for the family to join him. But Arun’s tumour flared up for a fourth time. The boy was back to seeing doctors. The prime cause of tension in the recurrent tumour was – all the surgeries so far and the ones to be done were close to facial nerves. A spate of extended hospitalization began. In Delhi, most of Arun’s eleventh standard days were spent hospitalized. “ I used to write to the hospital authorities seeking leave to attend important days in school,’’ he said outlining his predicament. Studies suffered. After his class eleven exams, the fourth operation to eliminate the tumour took place. This time, the incision was bigger, needing 14 stitches to close. “ The doctors said they burnt the whole area – that was the wording they used,’’ Arun said. In any case, the tumour hasn’t returned since. By class twelve, the young man had a body weight of 37 kilos. He joined college to graduate in commerce; a three year-program in the second year of which, the last of those annual malaria bouts happened. With that, Arun’s history of being consistently sick died out. It was in the second year of his degree course that Arun started exercising, the first dose of physical exercise for a body locked up since childhood in illness. Arun remembers those first few days of physical workout. He was so weak that he could do no more than two push-ups at a time. So he kept the sets small and slowly, determinedly cranked up the repetitions. In less than a year, he was doing impressive numbers. Arun’s father taught geography at school. Income was limited. Tuitions can augment teacher’s salary. But who seeks tuitions for geography? It wasn’t a subject anyone sought tuitions in. To contain expense on food and to ensure supply of good quality milk, the family kept cows and buffalos. After they bought a plot of land in Ghaziabad, Arun’s family moved that side, staying there from 1989-2003. In 2003, they moved to Dwarka. While in college, Arun got a taste of wrestling. During his Ghaziabad years, he was also associated with a training centre for wrestlers – an akhara. “ Wrestling wasn’t for me,’’ he said. However he appreciated the training. Meanwhile a dose of football resulted in a wrist injury that capped his ability to bench press. Nevertheless these were the turnaround years. “ Since 1988, I haven’t been sick in a significant way,’’ Arun said. In June 1992, Arun joined the Planning Commission as a clerk. There, he got acquainted with two possibilities in sport – athletics, which featured in the inter-ministry sports meet, and chess. He started running to prepare for the athletics meet, also seeing in it a potential alternative avenue for career progression. The maximum distance raced at the meet was 10,000m (10km). Arun started training with 5km runs, slowly raising it to 10km. In chess too, he prepared well, borrowing and reading books on chess from the Russian Cultural Centre. Soon, he was playing chess locally at competitive level. At the inter-ministry athletics meet, he finished third in the 10km run. He set his eyes on the upcoming Delhi marathon. But in the run up to the event, he got injured. This was how things were in 1997 when Arun got married. His wife Sangeeta was a school teacher posted at Rewari. Although he wasn’t running much around this time, Arun used to read about running. The couple named their first born – a daughter – Zola, after Zola Budd the famous South African middle and long distance runner. After naming his daughter, Arun wrote to the South African legend; she replied. The cafe had come to life. Three men, big of purse and body discussed business at a nearby table. Elsewhere in the cafe, youngsters talked loudly marking their presence in freedom as only those new to freedom do. Few things express freedom as well as running does. Little Zola (she has since been joined by siblings Sofia and Yiannis) was six months old, when the running bug bit her father again. Arun heard of talk in his village about a running race within the annual pilgrimage called Kavad Yatra or Kanwar Yatra, carrying water from the river Ganga to the Pura Mahadev temple in Baghpat. The Yatra, once restricted to a season is nowadays year round and typically features pilgrims carrying water from Gaumukh, Gangotri and Hardwar all the way back to Shiva temples in their home towns and villages. Number of devotees added up, this is one of the biggest pilgrimages in the subcontinent. The idea of running the distance from Hardwar to Baghpat – slightly less than 180km – attracted Arun. Knowing preparation would be required he set his eyes on the June 2000 Kavad, a year away. He trained, running every weekend a half marathon from Baghpat to Ram Park in Ghaziabad. When at Rewari, he ran at the local stadium. In Delhi, during lunch time in office, he ran on Rajpath, that broad straight line of a road known nationwide as venue for the annual Republic Day parade. At 8AM, Arun started running from Hardwar. In his hand he held a small bottle of water from the Ganga. On his T-shirt was written ` Zola.’ He had bought a pair of used running shoes costing Rs 150, for the race. As backup, he had a pair of Goldstar shoes, made in Nepal and trusted in the hills. At hand was a new Walkman, just in case he required music to egg him on. Twenty three hours and 25 minutes after he commenced running from Hardwar, Arun stood on the first step of the Pura Mahadev temple in Baghpat. He was the fastest runner in the race. Not only that, from 33km as his previous longest run (done while training), Arun Bhardwaj had just completed his first ultra marathon. 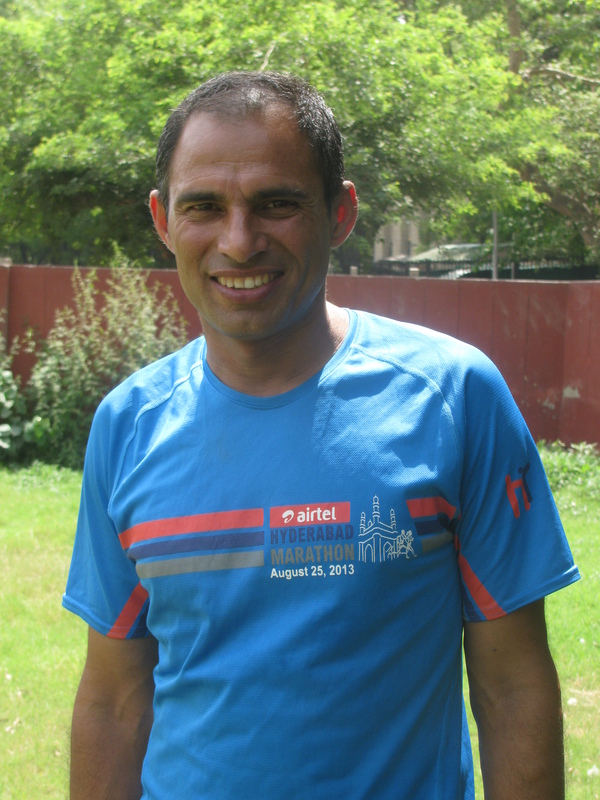 Today Arun Bhardwaj is India’s best known ultra marathon runner. His accomplishments since that run in the Kavad Yatra are many. In 2000, Arun had just got friendly with the new technology called Internet. After the Hardwar-Baghpat run, he searched the worldwide web to get an understanding of what 180km (approximately) in less than 24 hours meant. 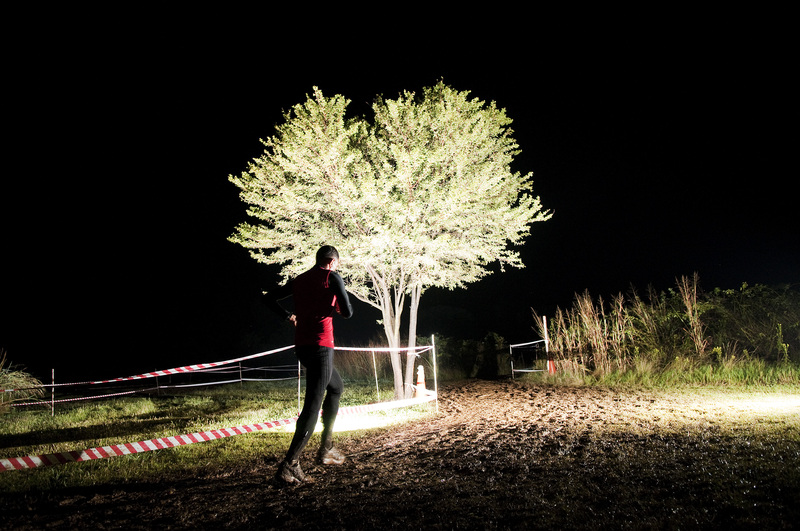 He found that in a 24 hour-running championship in Italy, the third placed runner had done 163km. It was the first indication of where Arun stood and what he could do. The next year, 2001, Arun ran from Delhi to Jaipur, covering the roughly 270km-distance in a little over 33 hours. In 2002, he went to Taiwan on his first race overseas, a 24 hour-endurance run. It was the first time India was being represented at such a race. Arun ran 138.17km. Arun has since notched up several long distance runs. But a few stand out; they found mention in the story he narrated. He ran a bunch of six day-races in Australia, Taiwan, USA, South Africa and Denmark. All of them endurance runs, he covered over the six day-period, 492km in Australia, 516km in New York and 520km in Copenhagen. He became the first Asian to complete three six day-races within the time span of a year. In 2004 he ran 501km at a six day-race in Mexico. Later in the same year he did 532.8km at another six day-race in Germany. Then he ran the first marathon of his life in Russia in blistering cold, following it up with 153km covered in the 24 hour-open championship in Russia in 2005. Same year, he did 558km at a six day-race in Australia. In 2006 he ran 521km in a seven day-race on a hilly course in Greece. In 2010, he ran a six day-endurance race – the George Archer Six Day Race – at Hekpoort in South Africa. How it panned out tells something of Arun’s running. The course was a one kilometre loop. You ran on it for six days, resting whenever you wished but committed to an average of 67km covered per day. Else you will be disqualified. 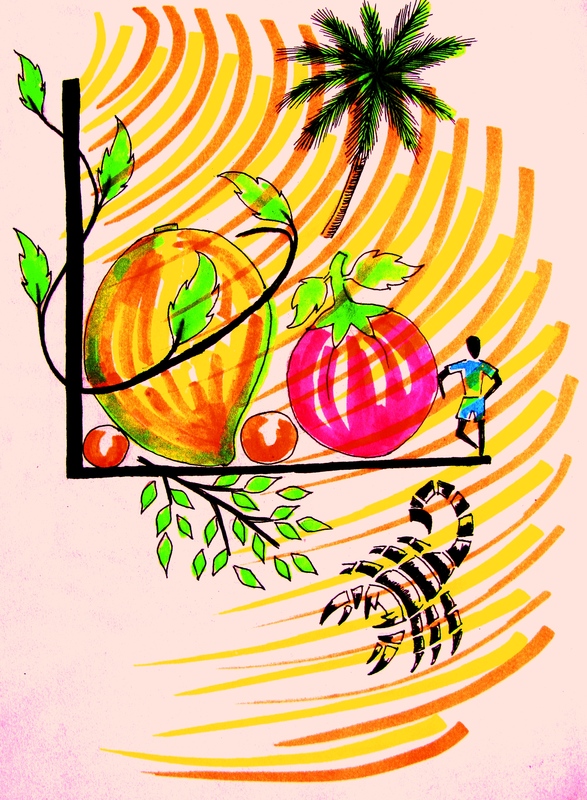 Running without support staff, a vegetarian in predominantly non vegetarian country, Arun’s cachet of food was a bag of fruits (apples, oranges and bananas) and a bottle of honey. He had also stashed in a bottle of water. As the run progressed amid rain, the Race Director, noticing Arun’s predicament in food asked what he could do. Arun sought boiled vegetables. He got that. Then, someone gave him a bottle of energy drink. All this, Arun said, would have hardly met his food requirements for six normal days. But he tapped into something within and kept running on this limited food. At the end of day one, Arun was placed second. He stayed in that position till day five, when he snatched leadership position. On day six, he maintained his lead, ran 106km that day and won the race, the first time – and so far the only time – an Indian won a multi-day race overseas. 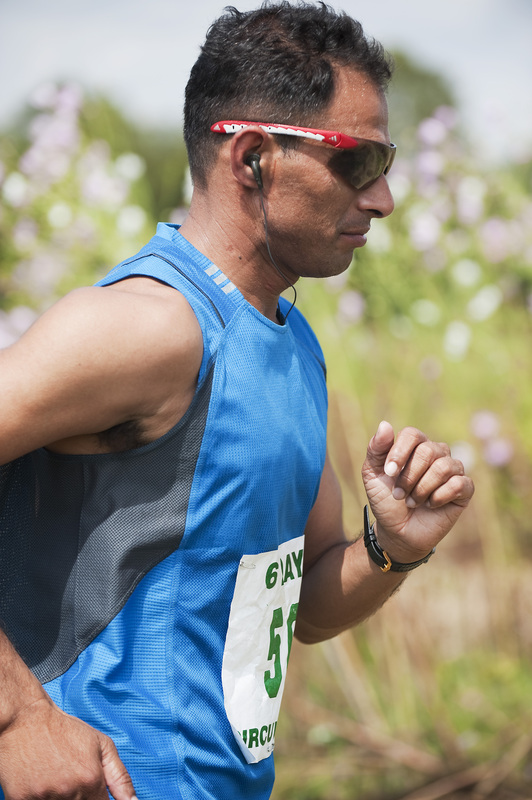 In the context of Indians running ultra marathons abroad, Arun is known for completing the 2011 Badwater Ultra Marathon in the US in 41.06 hours, finishing 56th in a field of 98 runners. Badwater describes itself as the world’s toughest foot race. According to Wikipedia, its 217km-long course starts 282ft below sea level in the Badwater Basin in California’s Death Valley. It ends at an elevation of 8360ft at Whitney Portal, the trailhead to Mt Whitney. The ultra marathon takes place in mid-July when weather conditions are extreme with temperatures sometimes touching 49 degrees centigrade in the shade. Death Valley is the lowest, driest and hottest area in North America. It also lays claim to the highest air temperature in the world of 56.7 degrees centigrade, reported in July, 1913 (some meteorologists dispute the accuracy of this reading). Within India, besides the Delhi-Jaipur run, Arun did Delhi-Chandigarh-Delhi (550km in 122.45 hours) and Delhi-Shimla (370km in 74.37 hours). His most ambitious project – completed in 2012 – was running from Kargil at the very north of India to Kanyakumari at the southern tip, via Leh. The distance of 4150km (as measured by the odometer in the support vehicle) was covered in 61 days of steady running, from October 1 to November 30. There was no day in between without running. In other words, a day of comparatively less running qualified to be rest day for this ultra runner running half marathons, marathons and more back to back. Thrice on the Delhi-Kanyakumari stretch, Arun ran over 100km per day. His last major run before our meet-up in Delhi was a run from Delhi to Chandigarh in April 2015. He covered the distance of 254km in 49.55 hours. The maximum distance he has run so far in 24 hours is 186.4km, recorded at a 2010 event – albeit not official – in Kolkata. The same under ratified circumstances is 177.70km in 2009 in Athens. This is believed to be a South Asian record. In most of the races (not projects like Kargil-Kanyakumari) he participated in, Arun was alone, without any support crew. His choice of races and runs also reflect passage through a variety of conditions. Between Badwater in the US, running in Russia and the Kargil-Kanyakumari run in India, he would have for example, tasted what it is like to run in hot, cold, high altitude and humid conditions. An article in The Hindu written when Arun passed through Delhi en route to Kanyakumari, has him mentioning a run from Arunachal Pradesh to Gujarat and another along the Golden Quadrilateral among projects he would love to do. I asked Arun what his future plans are. “ Before the age of 50, I would like to cross 500 miles in six days,’’ he said. That is 800km. Other goals on the wish list were – cross 300 miles (480km) in 72 hours; do 200 miles (320km) in two days. It had been quite a while since we left the cafe. We walked maybe two kilometres for lunch. Lunch had, we strolled back towards Khan Market, our pace decided by Arun’s passionate talk about running. Although an accomplished distance runner, Arun was yet to find a major sponsor who stuck around for long. He also mentioned another challenge. When his first trip overseas came up, he had the organizers of the event in Taiwan write to the Planning Commission about the invite so that he could be officially allowed to participate. Unlike other sports including the marathon, the ultra marathon was hardly known in India. Eventually Arun’s participation was approved by the sports ministry and other agencies involved in the approval mechanism. But it was clear – nobody could grasp why the ultra marathon existed, why it was run. In many ultra marathons, the failure rate is much higher than in the marathon because the course and course conditions are tough. Just finishing an ultra marathon is demanding. Finishing is respected. However the bulk of imagination in sports in India borrows from known themes like the world’s major sporting spectacles and the formats they indulge. Even globally, sport and disciplines in sport are seen to touch a pinnacle when they feature in staged events like the Olympics. This pattern traps our imagination; we lose our innate ability to empathize with the new and the spontaneous for want of vindication by set pattern. Thus when it comes to running, people – including officialdom – understand disciplines ranging from sprint events to the marathon. The ultra marathon puzzles. It finds no empathy. Why should there be madness beyond the marathon? Runners know why. On one occasion – the six day-endurance run in New York – the bureaucratic delay over clearances in India bit so hard that Arun was forced to fly to New York via Moscow (the cheapest ticket he could find at that point) and reach with hours to spare for race commencement. There was no time to rest and get over the jet lag. He proceeded to run 516km over the next six days. In several countries, ultra runners have associations representing them and the sport. Given the politics sports bodies devolve to in India Arun himself has little appetite for the concept of an association. But how else will you familiarize people with the whys of ultra running? How else can officialdom be made to understand the needs of the ultra runner? “ Ultra running is a spiritual journey. You see a body running by. Actually it is spiritual,’’ Arun said. That is the ultra runner speaking and expectedly, it does not reveal to the lay person the physical strain that precedes the experience of the spiritual. Question is – will others here understand things well enough to support and encourage ultra running? We were now at the entrance to the Khan Market metro station. Arun walked in to catch a train home. On the adjacent Subramania Bharti Marg, a sports car zoomed, exhausts screaming. How many like the ultra? – I thought. UPDATE: Early August 2015, Arun Bhardwaj was the winner in the 24-hour Stadium Run held at Sree Kanteerava Stadium, Bengaluru (Bangalore). Running on the 400 meter track, Arun covered 177.2 kilometers in the assigned time, media reports said. For Love Raj Singh Dharmshaktu it was his eighth visit to Everest and if all went well, a potentially successful climb to the summit for the sixth time. With five ascents already in the bag, he was the Indian to have climbed Everest the most number of times. In love with the peak, he had become associated with regular returns to Everest to try climbing it yet another time. His 2015 expedition had been difficult to put together. Everest is an expensive affair and sponsors had been hard to find. “ This time it wasn’t as determined an effort. I decided to go if I secured some support,’’ Love Raj said. In the end, some financial assistance did materialize. But it wasn’t enough and so Love Raj, tweaked the details of his passage up the mountain such that he did all the climbing and cooking by himself to save cost (for a report on the run up to this trip, please see https://shyamgopan.wordpress.com/2015/04/04/going-for-a-sixth/). He left for Kathmandu on April 4 to join the Eco Everest Expedition organized by Asian Trekking, among best known organizers of expeditions to Everest. Their annual Eco Everest Expedition, besides climbing the peak contributed its bit to bringing down trash from the mountain. The team this year had 14 climbers including those from UK, South Africa, Australia, Belgium and India. Love Raj’s flight from Delhi to Kathmandu was delayed by several hours. On April 4, there was a storm in Nepal’s capital city. It was midnight when Love Raj reached his friend’s house there. The next day was normal in Kathmandu. Everything seemed fine. It was a busy day for Love Raj; he had to meet his team and also complete the final preparations for the expedition. The next day, April 6, the team left Kathmandu in fine weather for Lukla. “ From Lukla onward, there was something funny about the weather,’’ Love Raj said. The local people spoke of snowfall. Usually, bad weather in Namche Bazaar in the season of Everest climbs, meant three to four inches of snow on the ground. But this time, it was as much as half a foot. For the next few days – April 9, 10, 11 – on all those days, it snowed. There was a pattern to it. Morning dawned clear. By nine or ten, clouds gathered. Afternoon, it snowed. The consistency of this cycle marked these spells apart from typical bad weather. On April 12, it snowed at Dingboche (14,800ft)). On April 13 too, it snowed. The team walked into Lobuche (16,210ft) that evening, amid snowing. The next day, April 14, the team reached Everest Base Camp (EBC/ 17, 598ft). According to Love Raj, the first set of tents at EBC, typically belong to trekking groups whose trip is limited to reaching the base camp. Beyond these are the tents of the mountaineering expeditions hoping to climb Everest. EBC is basically located on a glacial ridge. Having grown in size over the years, the camp’s tents can nowadays be found on both sides of the ridge and its crest. At its apex lay the heavily crevassed Khumbu Icefall, one of the most difficult sections on the climber’s passage up the mountain. To one side of EBC are Pumori (23,410ft), Lingtrense (21,972ft), Khumbutse (21,785ft), Changtse (24,780ft), the west shoulder of Everest and Nuptse (25,791ft). Of these Changtse lay in Tibet. A saddle in this array of peaks forms the Lola Pass. The main bulk of Everest (including its summit) and its adjacent high peak, Lhotse (27,940ft), are not visible from base camp. Pumori, Lingtrense, Khumbutse, Changtse, Lola Pass – roughly put, these physical features ran parallel to EBC on its side. There was a depression between EBC and the commencement of these mountains. Pumori is eight kilometres west of Everest. Named by the late British climber George Mallory, Pumori means ` unmarried daughter’ in the Sherpa language. The mountain is often deemed the daughter of Everest. It is a popular climbing peak with significant avalanche danger. Kala Pathar (18,513ft), well known among visitors to EBC as a high perch to view Everest, is an outcrop below the southern face of Pumori. The Eco Everest Expedition had its tents located just above the trekkers’ tents and at the beginning of the mountaineering lot’s share of camp. It was thus 20-25 minutes away from ` crampon point,’ which is from where crampons become essential for travel on ice. This is tad different from the usual thinking of climbers who like to be close to a climb. 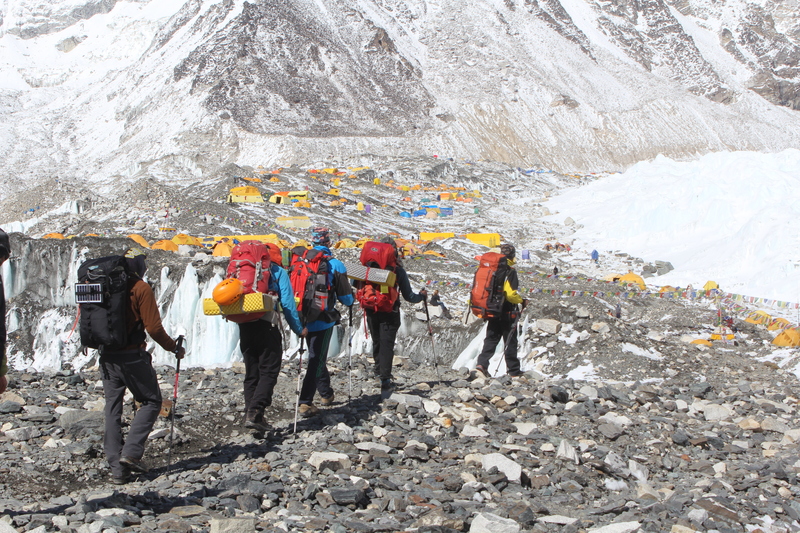 But that distance meant the Eco Everest Expedition was removed from the thick of tents at EBC. Significantly (significant from the angle of later events), the Eco Everest Expedition was away from the depression between EBC and Pumori. From the depression, you would have had to ascend the slope to the ridge and then descend to reach the team’s tents. Love Raj said, when he arrived at EBC, there was already a strong contingent of tents and climbers in place. “ A lot of people were there,’’ he said. One possible reason for the many people at EBC was an accident that had occurred a year ago. On April 18, 2014, a large chunk of ice broke off from a serac band at 20,200ft triggering an avalanche. On the National Geographic website, the ice chunk that broke off is estimated as 113ft high with a top area slightly in excess of a NBA basketball court. At that dimension, its maximum weight in ice was estimated as the equivalent of 657 buses or 31.5 million pounds. The broken chunk and the avalanche it triggered barrelled down on Nepali mountain workers in the Khumbu Icefall, who were preparing a safe route for clients that season. Sixteen of them were killed in the avalanche. Following this accident and the outburst in its wake of inadequate protection and welfare schemes for mountain workers, several outdoor companies had cancelled their expeditions. Some of the clients and climbers who missed climbing the mountain in 2014 would have returned in 2015, contributing to the robust camp Love Raj saw at EBC. According to old reports on the Internet, the authorities had said that ascents in 2015 would take a slightly different route given the damage caused by the 2014 avalanche to the old approach. That 2014 avalanche had been responsible for the highest numbers of deaths on Everest in a season, till then. Indeed among the 8000m peaks, Everest has claimed the most number of lives largely due to the high number of people congregating every season to attempt the world’s highest peak. People die climbing and assisting climbing expeditions. As per information on the Internet, around 250 people have died thus on Everest, so far. On April 15, the Eco Everest Expedition had its team puja (prayers), a ritual ahead of formally starting the peak’s ascent. After the puja, some of the newcomers were provided time to train and check gear. Typically the day after the puja, the team members go up the mountain a little bit; the accompanying mountain workers climb up to Camp 1 and return. This time the Eco Everest Expedition decided to try Lobuche East (20,193ft) as pre-Everest climb. On April 16, they moved from EBC to Lobuche, where Asian Trekking had a hotel. The next day, they shifted to the upper base camp on Lobuche East. On April 18, they were on the summit. “ Weather was bad all through. The Sherpas who came with the team said they had never seen so much snow on the summit before. There was almost two feet of snow on top,’’ Love Raj said. On April 19, the team returned to EBC. The next two days – April 20 and 21 – were devoted to acclimatization walks and training on the glacier. 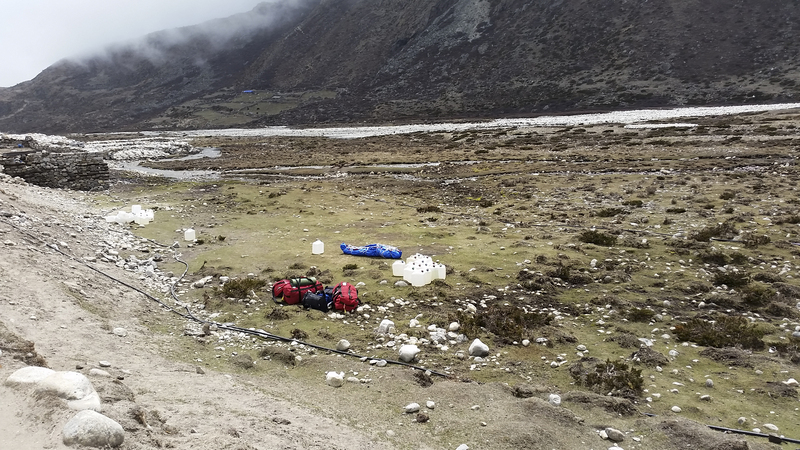 On April 21, the team’s support staff went up to Camp 1 and came back. April 22 and 23 were rest days. On April 24, some of the team left early morning for higher camp. The plan was to stay two nights at Camp 1; the first day, proceed to Camp 1 from EBC, the second day go from Camp 1 to Camp 2 and return to Camp 1. On April 25, according to Love Raj who was at EBC, two members returned early to Camp 1 from the climb to Camp 2. They had reached Camp 1 and not yet got into their tents. The rest of the team was in the Western Cwm. Named by George Mallory, the Western Cwm is a large bowl shaped glacial valley at the foot of the Lhotse face of Mt Everest. It is reached via the Khumbu Icefall and is notorious for how its shape combined with the vast amount of snow and ice around, reflect sunlight to gift the climber rather hot days despite the significant altitude of the location. Noon, April 25, 2015 – Nepal’s devastating earthquake struck. News reports on the Internet peg the exact time of the event as 11.56AM local time. At EBC, Love Raj noted it as 12.06. With epicentre in the village of Barpak in Gorkha district (as per reports in April), the quake’s intensity was estimated at 7.8 on the Richter scale. Subsequent reports would say that the ground beneath Kathmandu may have shifted up to ten feet south in the temblor. The whole Everest region was also shaken up. Up on the mountain, top Indian sport climber, Praveen C M (he has been national champion several times), was one of the two people from Love Raj’s team who had returned to Camp 1. They were roughly ten minutes away from their tents when the earthquake struck. According to him, visibility was poor. But they could hear avalanches in the neighbourhood. “ Avalanches happened to our right and left. There was also a third one,’’ he said. Luckily the camp site was spared a direct hit and only the smaller debris rolled in. Down at base camp, Love Raj, the team’s doctor and a Sherpa were in the dining tent discussing something when the earth started to shake. It was initially mild. They stepped out of the tent. By then the tremors were strong. EBC is on a moraine slope atop a glacier. There were sounds of things falling and breaking up. Glaciers are live environment. Even on a normal day, when camped on or near a glacier, mountaineers hear the sound of ice cracking deep within. There is also the sound of chunks breaking and falling off from mountains in the neighbourhood. Mountain environment is dynamic. This time it was more pronounced; the sounds were loud. The three men held on to each other. Just after this, from all sides, the sound and fury of avalanche set in. In Latin, ` ava’ means earth. `Lanche’ means: breaking down of. Wikipedia describes avalanche as a rapid flow of snow down a sloping surface. Further, after the process starts, avalanches usually accelerate rapidly and grow in mass and volume as they entrain more snow. If the avalanche moves fast enough, some of the snow may mix with air forming a powder snow avalanche, which is a type of gravity current. From past experience in the mountains, Love Raj knew what was coming. Within no time he felt the approaching gust of wind followed by the spectacle of powder snow billowing 30-40 ft in the air, rearing up behind the camps on the ridge between EBC and Pumori. The avalanche, coming down from Pumori had hit the depression, powered up the next slope to the ridge and was looming like a cloud for the onward journey. In the process it had already flattened camps on the slope immediately above the depression. Seeing the cloud of snow, Love Raj and his companions ran their separate ways. Love Raj and two Sherpas took shelter behind a rock. The avalanche swept by. They were behind that rock for a couple of minutes. Love Raj described the period. “ When an avalanche arrives, there is severe wind chill. That and the powder snow flying around make your breathing laboured. The snow gets into your lungs. You are in a cocoon of heavy breathing. That’s what I heard when I took shelter. Later when I got up, everything was covered in snow. I was breathing hard as though I had run a 100m sprint,’’ he said. Since avalanches come from above and the whole area had been shaking, their first instinct was to check on climbers up the mountain. They immediately contacted the team members who were at Camp 1 and above. They replied they were safe but couldn’t see anything as visibility had plummeted. One of the members had been on a ladder placed across a crevasse when the quake happened. He was immediately pulled back, averting grave consequences. Love Raj and others at EBC, advised them to stay put on the mountain. Be at either Camp 1 or Camp 2. At both camp sites, across the many expeditions attempting the peak, there were approximately 100-120 people. No major tragedy was reported from the higher camps. Unknown to Love Raj, it was EBC that took the brunt. As visibility improved at EBC, the devastation became clear. The injured started coming in. Most injuries were to the face; head, limbs – the consequence of being hit by flying debris or being flung around by the avalanche on the rock ridden-moraine. While some people fled after the quake, the others commenced rescue operations within about 15 minutes of the incident. The tents that hadn’t collapsed were immediately made into treatment zones for the injured, including designated tents for the seriously injured and the less seriously injured. Love Raj said that a chain of command took shape organically and pretty soon a rudimentary medical facility was in place. Mountaineering expeditions travel as self sustained groups. They anticipate accident and are prepared for it. Teams now pooled their medical kits. Kitchen staff got the stoves going; hot drinks and food was prepared. In terms of impact of disaster, those camped on the ridge slope facing Pumori were the worst hit. Those on the ridge and on the other side were less affected. In all 19 people would die in this avalanche making it the worst season on Everest. A year and six days after the 2014 avalanche, its reputation as the worst season on the peak had been surpassed. Some argue that the high incidence of tragedy on Everest is prompted by the number of people on the mountain and the varied nature of that people spanning seasoned climber to abject amateur. Makalu (27,838ft) is a beautiful sight from Everest and Lhotse. Eighteen kilometres east of Everest, it stands apart from other mountains. There were people on Makalu and at Makalu’s advance base camp (which serves as base camp for the peak), when the temblor hit. But nobody died. Arjun Vajpai, who some years ago became briefly the youngest person to ascend Everest, was at Makalu. Arjun had managed to climb Everest (29,029ft), Lhotse (27,940ft) and Manaslu (26,781ft) in his first attempt. He then decided to try Cho Oyu (26,906ft) and Shishapangma (26,335ft). Attempting these mountains in spring, he ran into bad weather. He temporarily suffered a partial body paralysis and had to be brought down from Cho Oyu. Following this reversal he decided to attempt Makalu. His first attempt in 2013 failed because the team ran out of rope; the second attempt saw much further progress on the mountain but again succumbed to rope related issues. His April 2015 trip to the mountain for a third attempt, was a “ really calm’’ one. The description fit the state of affairs till noon April 25. Arjun reached Makalu’s advance base camp (ABC) on April 22. At 19,500ft, this is the highest base camp for any mountain. Both the approach to Makalu and the ABC don’t have any of the heavy traffic or frills one finds on the Everest trail. “ There is no impressive infrastructure here,’’ Arjun said. In 2013, there were just two teams on the mountain. In 2014, there were three to four teams. What he saw in 2015 was the highest number of teams he had seen so far on his visits to Makalu. But it was still nothing compared to EBC. Arjun too noted the snow he saw en route. “ There was a lot of snow. I hadn’t seen so much snow in the previous two years,’’ he said. The topography and lay of Makalu ABC is different from that of EBC. The main peak sits recessed and away. What is closer to ABC is rock ridden-ridges from which, even on normal days, stones can roll down. Around noon on April 25, the earth shook. “ We started hearing noises all around,’’ Arjun said. Fifteen minutes later, there was an aftershock. Till then there had been no major avalanche. 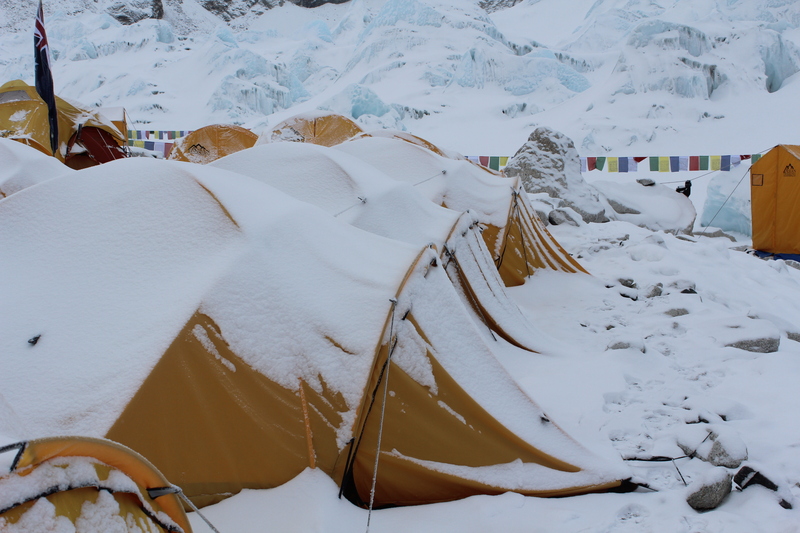 According to Arjun, the aftershock felled a big serac with a lot of snow behind it, at Camp 2. Also, ahead of Camp 1 on Makalu, there is a 150m steep ice wall. A climber was rappelling down it when the wall split from the very centre. That climber and his team were rattled. One of them left the next day. 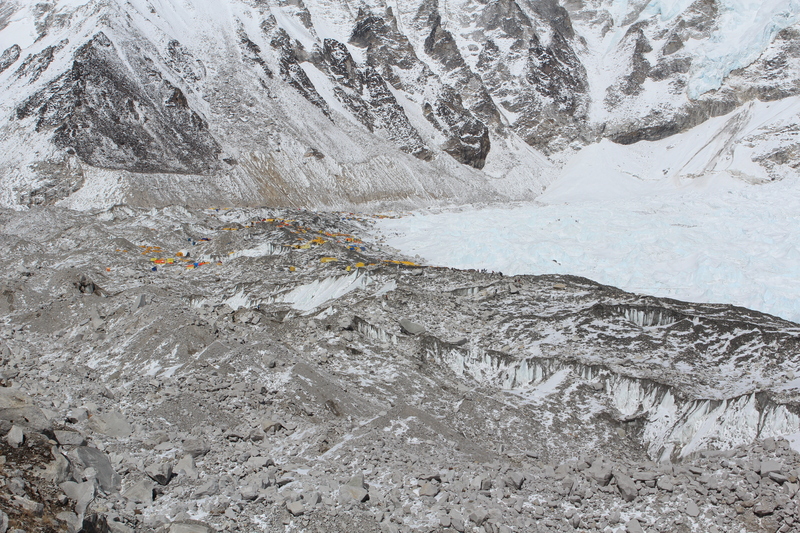 The quake caused injuries at Makalu base camp. There were no fatalities. The approach trail to the region was badly damaged. Although Arjun managed to call home and say he was fine, for the first day or two, he said, there wasn’t a clear idea of the dimension of the earthquake. Then it slowly filtered in; first came news of EBC, then news of lands beyond all the way to Kathmandu. 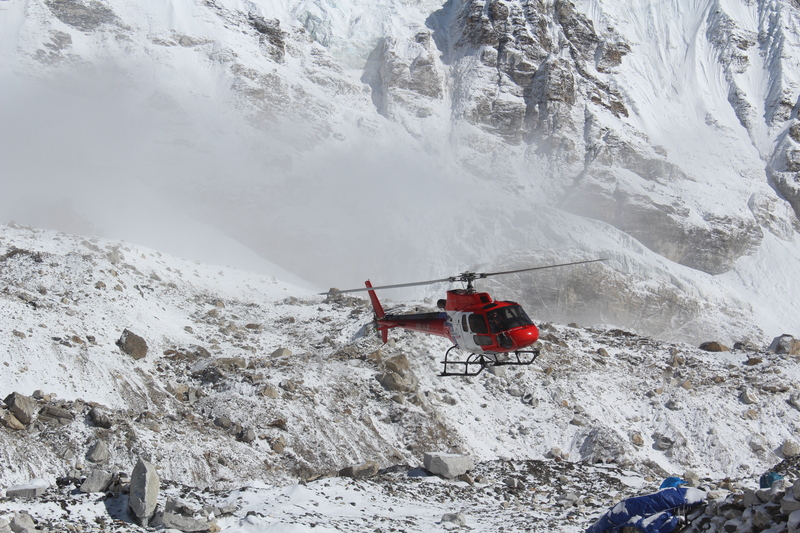 With the trail leading to Makalu damaged, Arjun and his team were ferried out by helicopter from Yanglekharka, a village some distance from base camp. At EBC, Love Raj said that news of the scale of the tragedy was available within an hour or so after the quake. There was panic initially. Some of the local people left wanting to know what had happened back home. “ But a lot of them stayed back. The rescue operation was actually carried out well. There was no particular panic in that department despite everyone affected by the temblor and traumatized by it,’’ he said. A makeshift helipad was made at EBC. By next morning, helicopters began arriving. Up on the mountain, people successfully reached Camp 1 from Camp 2. But reaching EBC from Camp 1 proved difficult; a group of mountain workers tried it but they retreated to Camp 1 as many of the ladders in the Khumbu Icefall were gone. Eventually they were brought down by choppers. The immediate rescue operations at EBC were more or less completed in the first three hours after the quake. There was little need to dig out anyone from the snow. The dead and the injured were on the surface. By April 28-29, the dead were removed from the scene, Love Raj said. According to him, on the first day, 14 were confirmed dead. That night, two people died. The next morning, three more bodies were recovered; altogether 19 (Wikipedia lists 22 dead including two who died in Kathmandu following injuries sustained at EBC). By the evening of April 26, word came that China had closed access to Everest from the Tibet side. It wasn’t yet known what would happen for Everest ascents in Nepal. Every year, the initial part of the climbing route to Everest is opened by personnel from the Sagarmatha Pollution Control Committee (SPCC). Their team – often called the Icefall Doctors – open the route till Camp 2. With the SPCC camp at EBC among worst hit by the quake, their personnel were no more around. 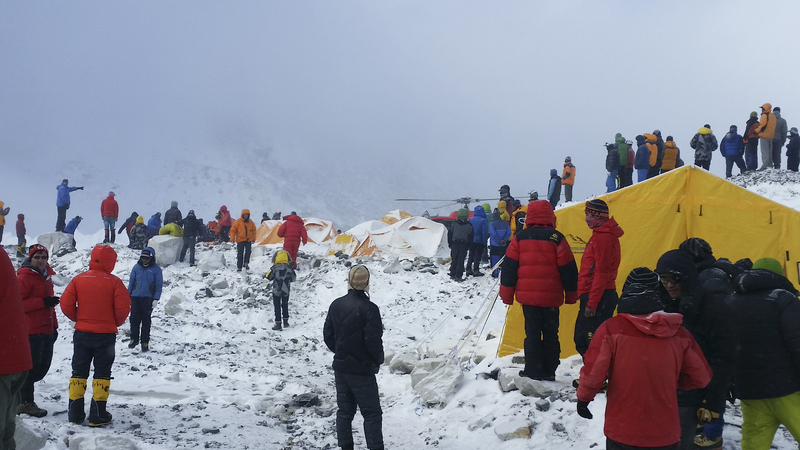 Despite tragedy, climbers – those who had reached EBC after investing much money in 2015 and those who had come after their trips got cancelled in 2014 – would have wished to proceed. But there were problems. One of the large expedition groups decided to retreat fearing more aftershocks. Then there was the issue of adequate mountain workers as support staff. They had suffered personal tragedies back home. Some had gone back; those still around were there despite the suffering. Around April 30, Love Raj said, Himalayan Experience, which along with Asian Trekking typically opens the route above Camp 2, decided to pull out (Himalayan Experience is an interesting company. As early as 2012, it had warned about impending disaster on Everest due to a bulge of hanging glacial ice on the climbing route and actually pulled out its expeditions that year. It was criticized. In 2014, after the year’s deadly avalanche, that decision was seen in a totally different light). On May 2nd or so, SPCC personnel reached EBC by chopper. By next evening, it was decided to shut down the climbing season. The reason available at EBC was – even if the SPCC opened the route till Camp 2, the route further up can’t be opened because some of the important expedition companies had decided to retreat. Love Raj made his way back to Delhi. In all, the April 2015 earthquake killed over 8000 people in Nepal and injured more than 19,000. Two major tragedies, two seasons in a row – may leave a psychological mark on Everest climbs. Nobody can forget the lives lost. But from a mountaineer’s perspective, the climb – for the climb it is – can be viewed rationally. I asked Love Raj what the earthquake could mean for future climbs. What if the route on Everest has altered? “ Isn’t that how mountain environments are?’’ Love Raj asked. Mountains are dynamic. News reports quoting Chinese studies (China has a satellite monitoring system on the peak since 2005) have said that as part of the continuing collision of the Indian tectonic plate with the Eurasian plate – which is how the Himalaya was formed – Everest had been moving four centimetres northeast and growing 0.3 centimetre annually. In the April 2015 temblor, Mt Everest shifted three centimetres southwest with no alteration to height. In the aftermath of the earthquake, it is possible that the icefall on the mountain may have freshly cracked; new crevasses may have opened up, existing crevasses may have grown wider (at the time of writing this article little information had emerged on whether the climbing routes were affected and if so, how). But as Love Raj said, there are the winters and their snows which bridge and compact things afresh. It is the earth’s natural cycle. Mountaineers will find a way through. It was a sentiment shared by Arjun, albeit differently. He pointed out in the context of various types of people congregating in high mountain camps and then panicking when calamity strikes that trained mountaineers know how to cope with such situations. Love Raj was worried less about climbers. He was worried more about the mountain workers whose houses were destroyed in the earthquake, not to mention, their source of livelihood literally shaken up. “ For them, there is a big gap in earnings between working on Everest and working on other peaks,’’ Love Raj said. In Nepal, Everest is a small economy in itself. When it shuts down, it affects the lives of those dependent on it. Or differently put, you may not be able to keep it shut for long. Fanaswadi was a village with two lives. “ At the earlier location, there were no facilities. 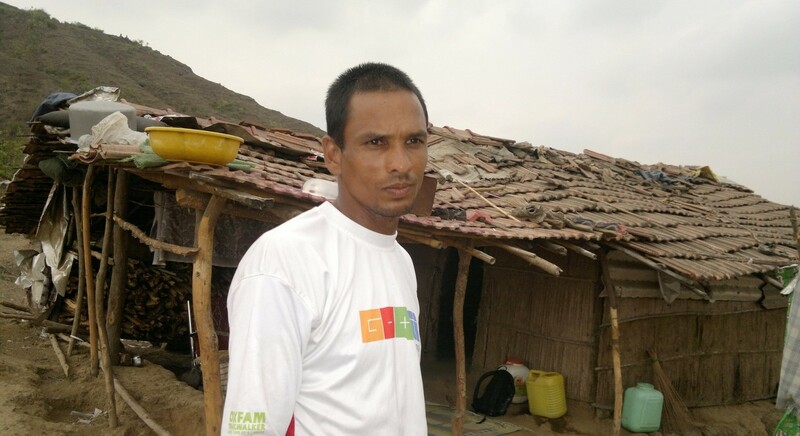 There was no doctor, no water, no electricity,’’ Kamlya Joma Bhagat said. In 2011, the village started shifting to where it is today. According to him, the old village survives, mostly abandoned except for four families who continue to be there because the elders didn’t wish to leave the land they had lived off for so long. The agricultural fields belonging to Kamlya’s family were also at the old location. He visited his former residence when required. The new and old locations of the village were apart by roughly five kilometres, separated in the main by a hill. 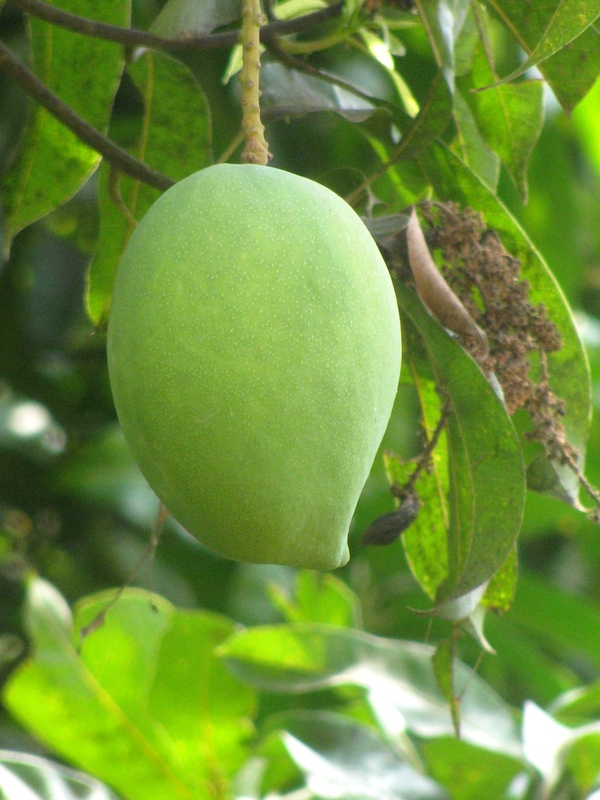 Pale Budruk – that was the name of the area where Fanaswadi’s second avatar sprouted. When you took one of those three wheeled share-taxis from Panvel, you didn’t just say Fanaswadi; you said Fanaswadi-Valap to indicate which Fanaswadi you were talking of. Half an hour or so from Panvel we got off on the road. Fare paid, the taxi proceeded on its way leaving us next to a board from below which a path of baked brown earth, now rendered powdery by the fierce summer of 2015, wound its way up to a rather spread out cluster of huts and mud houses. 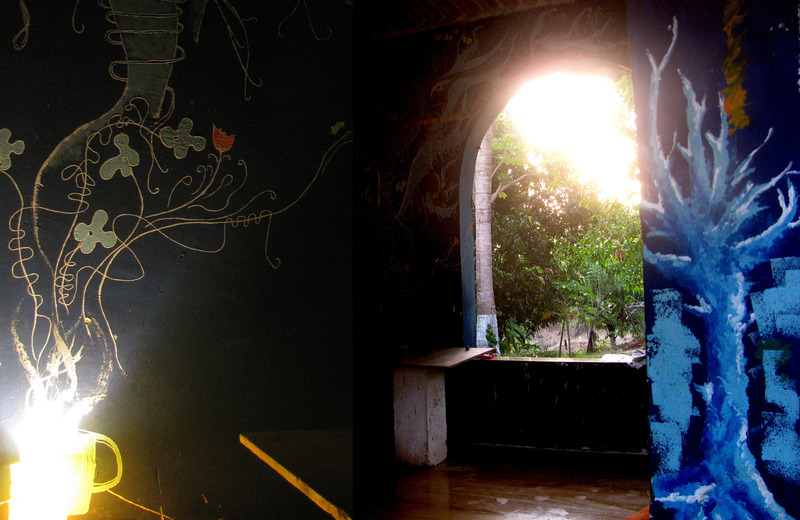 Some ways up, a wiry young man of medium height greeted us and took us to his house – all of one room and a sit-out. 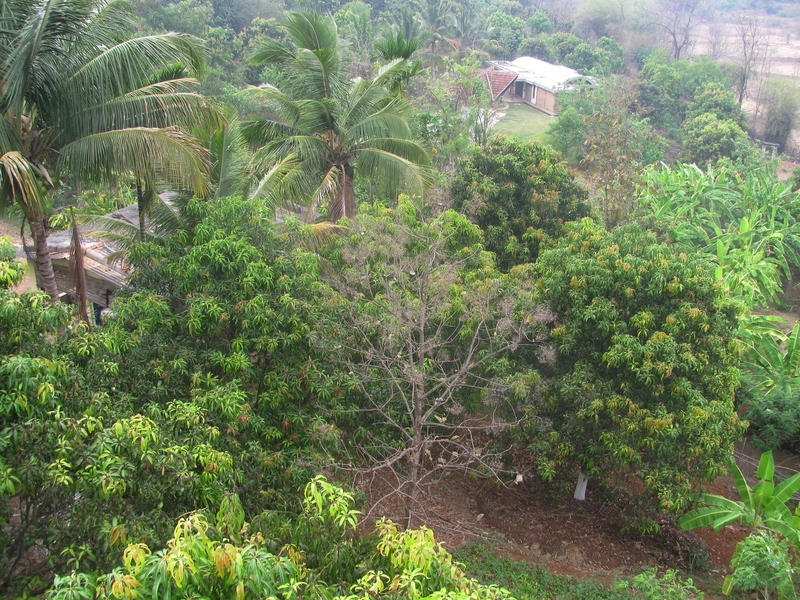 Behind the hut was the hill separating Fanaswadi’s two lives. Up front and far away, the hill between Kharghar and Belapur loomed, large and faint. Somewhere in that dark outline of hill was Pandavkada, the popular waterfall, right then possibly awaiting the rains to come alive. In front of that hill lay the urban sweep of Kharghar and the factories of Taloja’s industrial zone. At a tangent from the houses we were at, through the summer haze, the rocky top section of a hill was visible in the distance. 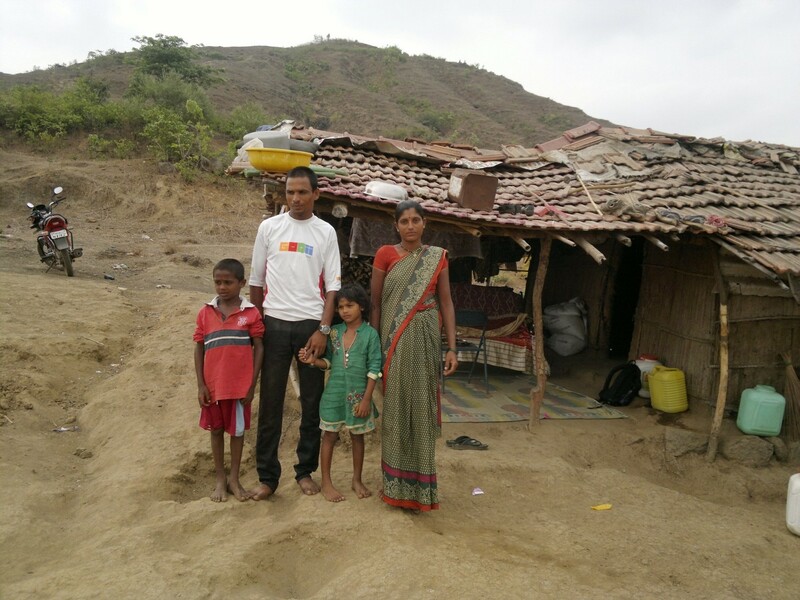 The new Fanaswadi sat unsettled on land the families on it were yet to own. They had moved here because they were desperate to be near basic amenities. Technically the land was owned by the government. Apparently there was legal action going on. There was no water and electricity here too. Observations on life were tinged by a neither here nor there vagueness; a smile and a faraway gaze to avert the impact of that uncertainty. At Kamlya’s house a metal sofa had been dressed in a clean sheet for us to sit. We sat down to hear his story. Kamlya was born in the old Fanaswadi to a family engaged in agriculture. He was the youngest of six siblings. His father died when Kamlya was still a small child. The family primarily grew rice and nachni (finger millet); they also grew vegetables. Kamlya worked on his family’s land. He also worked on other people’s land as did others in his family. 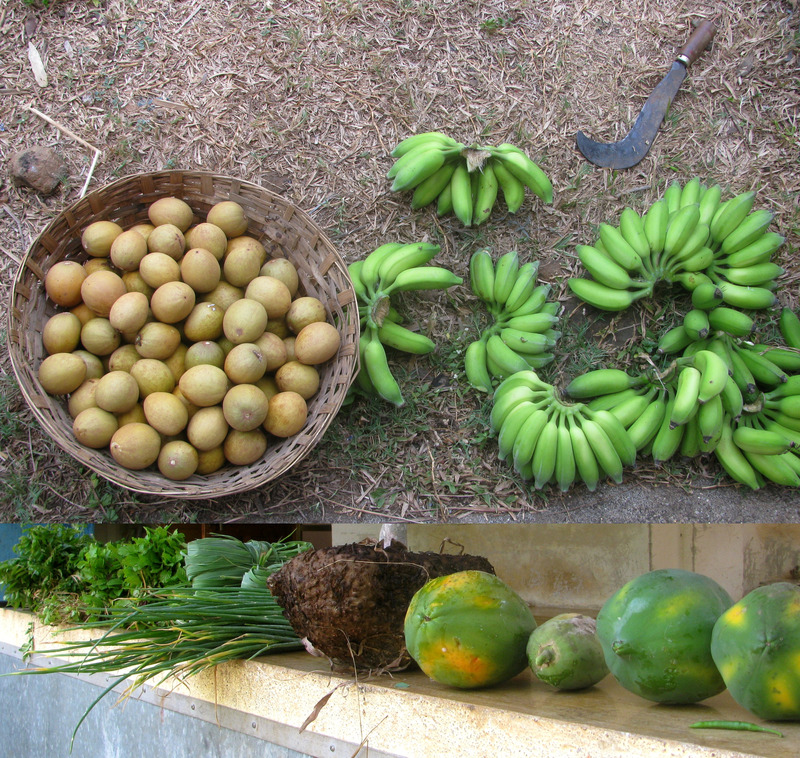 Much of the farm produce at Fanaswadi was meant for use in-house. That was how life amid meagre income was managed. From the age of five or six onward Kamlya attended the Aadivasi Aashram School at Chikhale near Panvel, where he studied till the tenth standard. It was a residential school where the cost of education was met by government. In class eight at this school, Kamlya had his first formal rendezvous with running. It was a 1500 metre-race, which he had to quit with 100m left due to cramps. He had run without any practice. So over the next couple of years he kept running regularly in the range of 5-15 kilometres. Kamlya attended junior college at the Sanjay Gandhi High School in Kolwadi and then joined MPAC College in Panvel to do his BA (Geography). By now the funds for his education were a mix – it came from his family; it also came from his pocket as Kamlya was additionally working at a shampoo factory in Taloja. The distances he ran had now grown to 20km. In the second year of his three year-degree course, Kamlya secured second position in cross country running at the Mumbai University level. According to him, across his college years, he won 28 medals in disciplines ranging from 1500m to cross country running. He even ran the 4x400m relay. At MPAC College, he practised at the college ground. Sometimes he ran to college from the shampoo factory he worked at. He also ran at University Ground in South Mumbai. Representing the university, he ran at venues outside the state, in Bengaluru and Andhra Pradesh. Kamlya said he had been to four or five inter university meets. Sports elicited a toll on studies. Kamlya never gave his final year BA exam. Academically therefore, the runner from Fanaswadi stopped a shade short of graduation. There were other developments. In his second year at college, Kamlya got married. By the third year, he was a father. Today he has two children, a boy and a girl; one of them suffers from a congenital heart problem. The family also lost one child. It was during his first year at MPAC College that Kamlya had his first taste of the half marathon. By the second year, he was enjoying the format but remained an athlete in a basket of disciplines. After leaving college Kamlya ran a half marathon, barefoot, in Kalyan. Since then, he mostly ran the half marathon. The distance was a sweet spot for him. Given his backdrop in college running a variety of distances all the way up from the 4x400m relay (he said he could do 1500m in 4:10-4:12), the half marathon allowed him to tap his innate affection for speed. Kamlya estimated that he must have run over 150 half marathons by the time we met him. That prolific running was due to another factor. When Kamlya left college, he was married and having wife and child to support. He couldn’t get a job. There was nothing available. All he had to fall back on was running. Slowly racing became a source of livelihood. These races were typically organized by individuals and organizations ranging from local legislators to elected bodies and others. They happened mostly in the winter months. 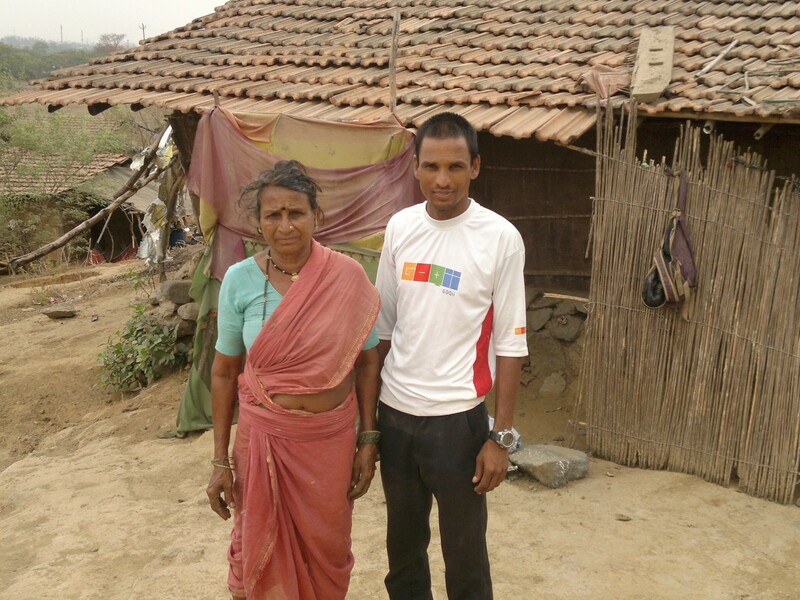 A good runner, Kamlya was confident of winning races in Raigad, the district he belonged to and lived in. Running almost every week, in a good season, he was able to earn up to Rs 50,000. A modest amount, it nevertheless meant much for the family. Except rice which they grew in their fields, they needed to purchase most other things. The races made Kamlya locally known. “ I saw his name in a local newspaper. Then I met him in one of the races in Navi Mumbai. We shared our numbers. I called him for a run and he came to Panvel an evening. That was the first time I ran with him. Later I went to his place to run. There we ran on trail. It was very beautiful,’’ Dnyaneshwar Tidke, one of the best known runners from Panvel said (for more on Dnyaneshwar please see https://shyamgopan.wordpress.com/2015/04/11/the-constant-runner/). Although he did his practice runs wearing shoes, Kamlya ran the races barefoot. “ I don’t know why,’’ he said. His runs in and around the new Fanaswadi settlement included running on the road we had come by and extended trail runs on the hill behind the hutment. As regards coaches, there was a “ Shinde sir’’ at MPAC College and a “ Sushil sir’’ at the university. No other names came up. A seemingly self made runner for the most part, Kamlya’s Fanaswadi address was also miles away from the Mumbai locales where the city’s running coaches trained their wards. But running and runners graced Kamlya and Fanaswadi differently. News of Kamlya Bhagat got around in the running community. For instance, Chetan Gusani, a runner and photographer, was collecting shoes for needy runners when Dnyaneshwar told him of Kamlya. In June 2014, Chetan enrolled him for a 10 km race in Thane and asked Kamlya to stay at his place as it was closer to the venue. Chetan recalled the episode, “ he came over. At night I asked him if he was comfortable. He said he was very comfortable as in his own house he did not have electricity. Next morning, he ran the 10 km-race and finished second in the open category.’’ Chetan put a post on Facebook about Kamlya. Help started coming in. Fellow runners got him shoes, footed his registration fee at races. At a Fanaswadi still devoid of electricity, a line of LED lamps powered by solar energy lined the pathway to Kamlya’s house. The lamps had been provided by a group of runners. As much as the half marathon emerged a sweet spot for Kamlya, it also appeared a limitation. The 28 year-old (according to Kamlya his legal age is slightly higher) fared strongly in the half marathon viewing it as a longer, stretched version of the middle distance runs he used to do before (and still does well as the outcome of the 10 km shows). At some point, Kamlya knew the same logic of adapting to age and endurance will prod him to try the full marathon. As yet he had neither attempted the full marathon in Mumbai’s annual Standard Chartered marathon (SCMM; India’s biggest such event) nor had his one attempt at the marathon, succeeded. In that latter attempt – a night marathon in Surat – he gave up after a half marathon and some more done because the run wasn’t progressing to his satisfaction. He required better endurance. Given Kamlya’s predicament, wherein running is also a source of livelihood, satisfaction for him is probably several notches above what satisfaction is for the rest of us. He can shift disciplines only if performance is satisfactory. Further, he believes that he won’t be able to transition to the full marathon from the half without affecting his existing fortunes in the half. For example: to run the full marathon he may likely have to run slower as it spans a longer course. Do that in training several times over, how would it be if he suddenly required to a run a half marathon for money? Won’t he run slow and lose his chance to win? Not to mention: competition was emerging in Raigad. He may want the marathon but he can’t upset the income stream from the half marathon. This was Kamlya’s worry. At the same time, he knew the inner clock was ticking; he won’t stay fast forever. He hadn’t therefore shut the doors on the full marathon. “ I haven’t said no to it,’’ he emphasized. Finally there was the issue of shaking up a whole ecosystem. When we met him, Kamlya was also working as a temporary teacher at a school some distance away. Somehow the half marathon had come to fit in well in terms of the time he was able to spare for running, training and the resources he could invest in his passion, including food intake. Is it worth upsetting the equation? Kamlya was unsure: should it be the half or the full? “ I think he can be a full marathoner provided he trains regularly,’’ Dnyaneshwar said. Maybe one day, like Fanaswadi before, Kamlya will step out into a second life with the full marathon. UPDATE: At the 2015 BNP Endurathon in Mumbai, Kamlya finished second in the 25km-run. His timing was 1:45:33. October 2015: Running the half marathon, Kamlya finished fifth in his age category (30-35 years) at the Sriram Properties Bengaluru Marathon 2015. His timing was 01:19:49. The veranda lights faded roughly twenty feet from the farm house. Gaytri walks around the property at night, from sunset to early morning, opening and closing the farm’s drip irrigation system. I have my headlamp, shoes on my feet. She carries a small torch, rubber slippers or none on her feet. The torch cast an ellipse of light. At its centre was a black scorpion. I came to Vrindavan Farm in Onde to write about a runner. Gaytri Bhatia was born the middle child of three daughters. As she put it, thanks to her elder sister, her mother had worked out the method to bring up a child by the time she arrived. She was allowed to explore as she wished. Gaytri grew up, rather independent in the head. The family stayed in South Mumbai; there was the farm in Onde as well. Her debut in sports around Grade I was at the back of the field, skipping along while the rest of her classmates raced to the finish. From that she swung in due course to being the sports captain of her school. All three sisters were good swimmers; they were regular visitors to the United Services club in Mumbai, which had facilities for swimming in the sea. To this date, Gaytri remains a strong sea-swimmer. During junior college at Mumbai’s St Xavier’s she did well in a 1300m-running race. In her narration, this appeared her first serious rendezvous with running. Around this time, she also cranked up her physical routine many notches. She would go for a morning run, walk to college and back, visit the gym, swim and practise kung fu. Her main love was swimming. One of her memories of Arizona is that she liked running there. “ Running had become the way I would experience any new place. The shoes were the first to be packed. I would run everywhere,’’ she said. Amid this, the issue of what running to do – was also slowly coming to the fore. At Mt Holyoke she had been part of the college’s track and field team running the 400m and 800m. But she disliked both disciplines. The 400m was too fast; the 800m, as experience, was just better than the 400. “ I knew I wasn’t meant for either,’’ she said. Eventually she left the track and field team, opting instead to go running by herself, at her pace, covering distances she liked. After securing her honours degree in environmental studies, Gaytri went to work for a company in Boston that was a consultant to the US Environmental Protection Agency. That company was influential in shaping her life. Its office had an informal, outdoorsy ambience. There was a swimming pool on the premises. Her colleagues led an active lifestyle; there were runners, bikers, swimmers. She used to run to her office. The famous Walden Pond (Henry David Thoreau wrote his book `Walden’ in a log cabin near this lake) was roughly 13 miles from her office and 18 miles from where she stayed. She mixed running, cycling and swimming for active lifestyle. Another favourite water hole in this evolving map of physical activity was Crystal Lake. It was eight miles from her home and seven miles from her place of work. 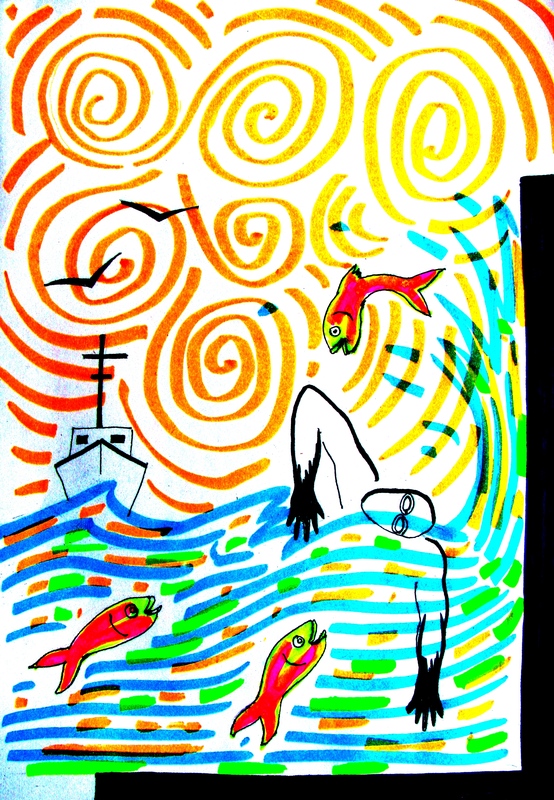 “ The unsaid rule was swim and when the cops come get out of the water,’’ she said. Everyone, including the law “ pretended for this small joy.’’ For her, this approach was precursor to being bandit. Boston is home to the world’s oldest annual marathon, one that is also among the best known road racing events. Gaytri’s debut at the Boston Marathon was as a `bandit.’ The bandits are unregistered runners. According to information on the Internet, the event did not officially permit unregistered participants but turned a blind eye towards them running. Gaytri said that the bandits in turn made sure they never obstructed any of the officially registered runners. They start running after the main “ numbered folks’’ begin their race and typically run by the side of the road, leaving the road’s main part free for registered runners. An April 2014 report in The Boston Globe said that bandits were being banned from that year onward. One reason for this was the 2013 bombings. But the matter divided the running community. Some alleged that the real reason for discouraging bandits was money’s need to make sure the experience is best for those who pay and run. Refreshment stalls en route for example, don’t distinguish between registered and unregistered runners. They cater equally to those who pay and those who don’t. 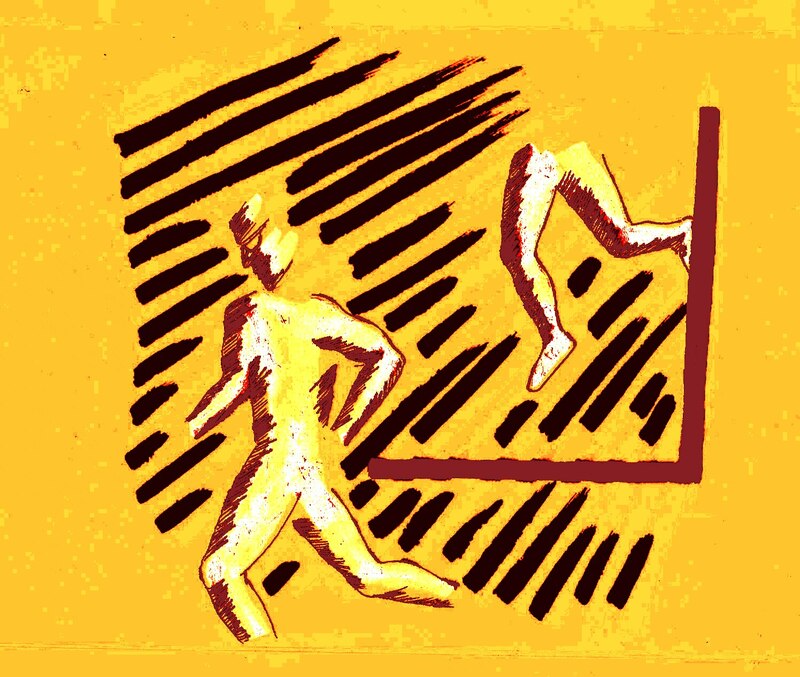 The purists in running saw the calls for distinction as commercialization of running, an act that took running away from the basic freedom in which it was rooted. Among human activities, running is closely identified with freedom. Why chain it with money? At her first Boston Marathon, the bandit from Mumbai finished in approximately four and a half hours (her fastest time in a marathon has been four and a quarter hours, the slowest – four and three quarters of an hour). But there was a problem. She wasn’t sufficiently exhausted after the marathon. She was back at work the day after the marathon. Gaytri finished the race; she placed thirteenth among women at JFK 50. There is a South African movie that Gaytri talks about – Gods Must Be Crazy. To be precise – the second film from the franchise, released in 1990, in which the main protagonist Xixo (played by N!xau) follows on foot a truck that has taken off with his children. It stuck in her mind, an image of what the human mind can push the body to do. “ I left the JFK 50 hooked to the idea of ultra marathon. I had participated asking if it was possible for me to run the distance. I found I could. After that it was all about sucking up to an addiction,’’ she said. Her training regimen those days was pretty flexible. During weekdays, she ran five miles and 8-12 miles alternatively. Weekends, she ran 16, 18, 20 or 22 miles. “ It was always driven by the want to run. Rest day was whenever,’’ she said. Unlike structured runners, Gaytri didn’t have a scientifically designed training schedule. She also hiked a great deal. “ For me, hiking was like a long run. I would typically choose routes with high ridges and possibilities of going up peaks,’’ she explained. Her preferred ultra running route was trail; off-road, new terrain, point-to-point without repetitive loops. “ Wilderness is exciting,’’ she said. Gaytri’s next ultra marathon was the Laurel Highlands Ultra in Pennsylvania. It was a run of 70.5 miles (112.8km), point-to-point and along the Laurel Highlands Hiking Trail. The route went through different types of forests; it also had extended sections of muddy trail. “ Everyone had somebody to support them. I didn’t have anyone supporting me. I went without a water bottle or hydration pack. I drank at aid stations. At some point, a volunteer shoved a water bottle into my hand saying – take it. I finished second among women,’’ she said. Farm produce (Photo: Shyam G Menon). By this time, Gaytri had run the Boston Marathon a couple of times as bandit. But after running ultra marathons, her fascination for marathon and Boston Marathon declined. “ The ultras are so silent in a way. The other thing is that personal wear and tear after an ultra is less than in a marathon. Over time, I completely lost interest in the marathon,’’ she said. This was however inspiration to run the Boston Marathon differently, once again as bandit, but doing the race as a “ double.’’ On the eve of the race, she reached the finish line at night and started running towards the starting line. She was late doing so, for the runners doing the double had already set off. She caught up with them, continuing on with two senior ultra runners, a man and a woman. As they ran, the older woman – an accomplished ultra runner – narrated her life story. Reaching the starting point (full marathon completed), Gaytri immediately turned around for the return run back to the finishing line. Although formally registered for the race and not bandits, the two older runners also joined her. In due course, they had the elite runners of the Boston Marathon barrel down the road from behind. Giving a comparison of marathon and ultra marathon pace, Gaytri recalled that the male ultra runner tried keeping pace with the elite men and could do so for just five seconds; he tried again with the elite women and managed at best 15 seconds of running alongside. Gaytri finished the double. Next day, her knees were utterly beat. After that double, she tries her best to avoid road-running. Gaytri’s last major ultra marathon was the 100 mile (160km) race – the Cascade Crest Endurance Run in Washington State, in 2007. 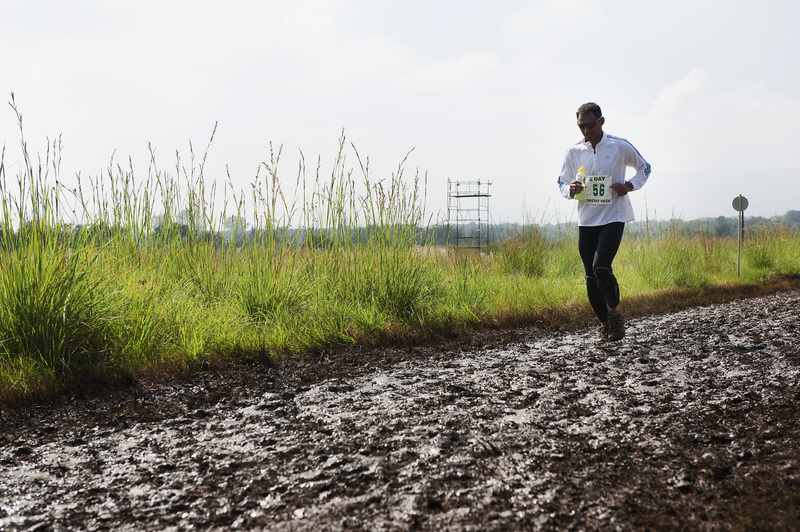 Across the course’s length, it featured a total elevation gain of 21,550 feet; it was 75 per cent trail, 25 per cent dirt. “ That race sounded gorgeous. It was all trail, point-to-point, no redundancy and you were in wilderness,’’ she said. Her arrival for the race was a small adventure in itself. She was flying via Atlanta and at that airport she ran into flight delays. After much pleading she was accommodated in the earliest flight possible. She killed time at the airport repairing her running shoes, stitching the tears in it with dental floss. At the race, once again with no support team, she dispatched the stuff she needed en route to aid stations further down the trail. Then she ran, finishing the 160km-course in a little over 27 hours (to see a photo of her from the race please try this link: http://www.pbase.com/image/84628801). Gaytri said that her progression in running had been intuitive and felt. She referred the Internet to schedule races and keep in touch with the community. She avoided magazine articles and books about other runners. She didn’t want other people’s experiences interfering with her personal experience in running. She didn’t care much for timing either. “ My goal was to finish a run,’’ she said. Her running in the US was done in three pairs of running shoes – all of them, Adidas Super Nova Classic. When the model went out of production, she wrote to the company’s board of directors seeking some pairs for keeps. She got no reply. Luckily she found them at a Boston store; she bought three pairs, one of them is there at her house in Mumbai awaiting a good run. Soon after Cascade Crest, life took a related but slightly different turn. A colleague at work was going on an expedition and Gaytri joined in. The objective was to climb Mt Rainier (4392m / 14,494ft). Owing to a storm, the team couldn’t summit that peak (they withdrew from around 12,500ft) and instead ended up climbing Mt Baker (3286m / 10,844ft). She loved the experience of being out in the snow clad mountains. Everyone else in the group was associated with the National Outdoor Leadership School (NOLS), the premier outdoor school in the US. Gaytri was impressed by their conduct and the comfort they showed in the outdoors. She went and did a formal NOLS course – a mountaineering course in the Waddington Range in south western British Columbia, Canada; often described at NOLS as a classic. Following this she did her Instructor Course with NOLS and became eligible to work as an instructor on the school’s backpacking courses. Alongside, adventures in swimming also continued. A strong swimmer, she gained some notoriety for being turned back by life guards at the beaches she swam at, not to mention, one incident in which a US Coast Guard vessel blocked her extended swim and nudged her back to safer waters. On return to India from the US (she spent a decade or so in the US), she briefly ran on Mumbai’s Marine Drive, very close to her house. For several months she tried running at 3.30AM or 4AM and stopping by 6AM when the traffic commenced. But she hated the traffic and the experience of running on the road. Eventually, she stopped running in the city except for two attempts at the Standard Chartered Mumbai Marathon (SCMM) – the first time, she felt hungry and terminated her race near Kemps Corner to much subsequent regret; the second time she ran ahead of the race bandit style and completed it. Her last spate of long distance running was at Auroville in Pondicherry, where she enjoyed going barefoot in the forests. 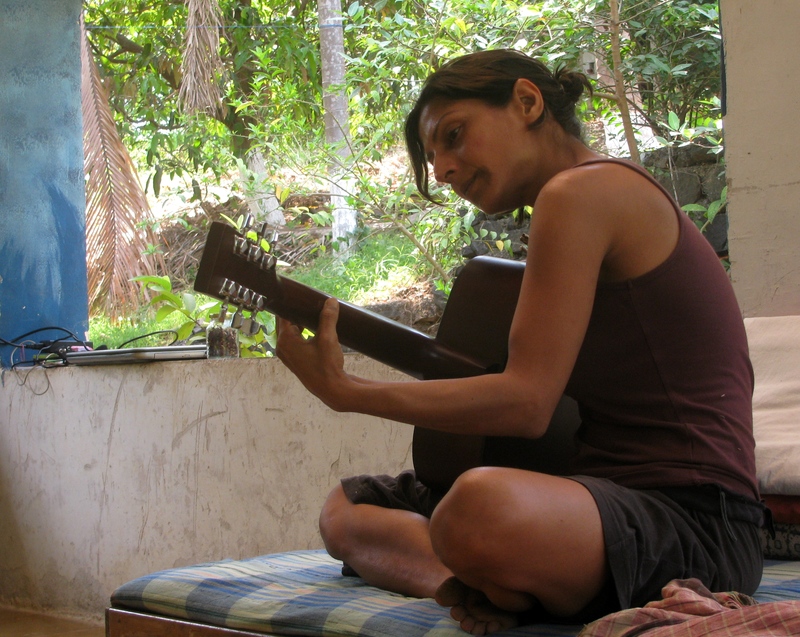 Gaytri now splits her time between farm work in Onde, home in South Mumbai and work as outdoor instructor with NOLS India in Ranikhet. A working day began early at Onde with farm workers arriving by around 8AM. As the day progressed, the scorching heat of the Indian summer made its presence felt. Past noon, the world slunk into inactivity; then came alive for evening’s embrace of day’s work concluded. Vrindavan Farm was a quiet place, absolute antithesis of day-to-day Mumbai. It was as silent as the deep end of an ultra. Endured for days, which a resident manager must, it was – to my mind – rather similar to a long distance run. You are in a world of your own. I asked Gaytri what it felt like when running an ultra marathon. She said, for her there were three stages. “ Typically I find the stages as – one: what the heck was I thinking of when I signed up for this? 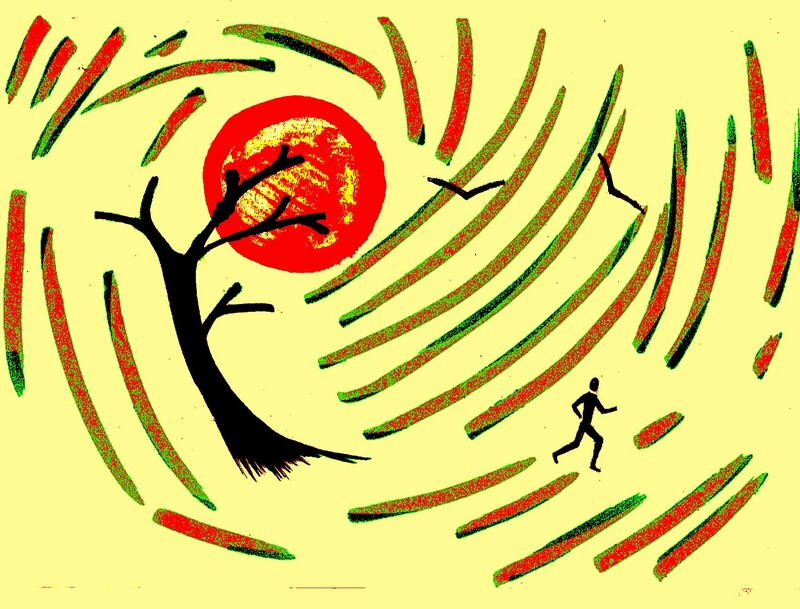 Two: body screams seeking attention, three: I call this moving meditation; the mind has overcome matter and now it is a flow that can carry on endlessly.’’ She said she ran the ultra marathon to find out what she can do. It was a couple of years ago that Gaytri assumed responsibility for her family’s farm. Although she used to want something more than just being a visitor to the farm in her childhood, her move to Onde to manage the property, was accidental, “ a product of circumstance.’’ Harnessing her backdrop in environmental studies, her attempt has been to keep the farm completely organic. The result is a web of intra-farm connections – one in which, land and human lifestyle reside mutually supportive. The farm’s product portfolio is diverse. 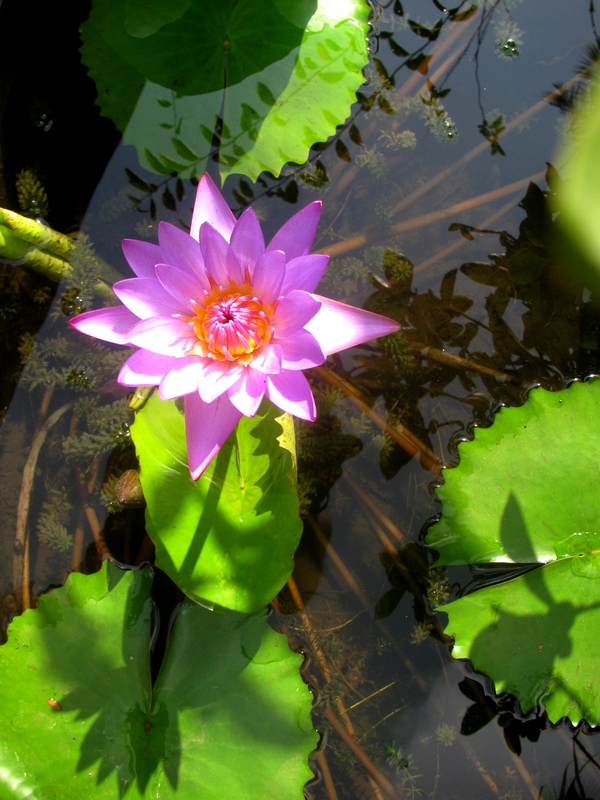 One of Gaytri’s contributions has been the systematic creation of a seed bank. Navigating her way by observing the land and resident nature as best as she can, she said she would eventually like to see the farm as “ a forest of foods.’’ Getting her ways accepted wasn’t always easy. Onde is on the edge of tribal habitation. The local farmers had time tested, longstanding approaches to farming, particularly with regard to what they will grow. There was wisdom in it. They had also become trifle closed to learning new things and experimenting with new styles. Gaytri had to tackle in the main two challenges – she had to coax her workers to try new methods; the workers had to get used to a woman as manager. V.D.K. Nair aka Mani, hails from Palakkad in Kerala. He has been living in these parts for the past twenty years or so. Previously he used to manage the farm for the family. Now he drops by once in a while to visit. Looking back, Gaytri felt she was always gravitating towards the outdoors. She used to visit the farm as a child; she had a phase when she was interested in outdoor sports including ultra running, she then chose to return and stay at the farm. “ I don’t go seeking the outdoors anymore because it is now my home,’’ she said. According to her, one of her small joys was realizing that she slept under the stars for more than two thirds of a year. Sensing our presence, the scorpion in the ellipse of light curved up its tail in a defensive gesture. Gaytri had been stung by a scorpion before. We walked past the scorpion to the section waiting to be watered. The valves to be shut and opened were in a cavity in the ground. Gaytri reached down to do the job. A mild chorus of water sprinkling in the backdrop died out. There was silence for a second or two. Then a fresh chorus started in a different direction nearby. The drip irrigation of a new patch of farmland had begun. I knew that I would succumb to sleep shortly. Gaytri would stay awake, counting the hours and watering the farm in sections. In summer, the night hours between sunset and sunrise are best to feed land. This summer has been deadly. So far, over 2200 people have died from the heat in India, most of them in central India and parts of north India and eastern India. It has been a heat wave of several days. While heat waves have been there before and people have died, this is the highest death toll in the past nearly four decades. As June 2015 dawned, the monsoon was reportedly nearing the subcontinent. This year’s monsoon is tad delayed. The regular debate on how good the rains will be is on. Once upon a time, the idea of good rain was the monsoon itself. Now a super organism of 1.2 billion people with hunger and consumption to match, India’s worry around rain and agriculture is more. 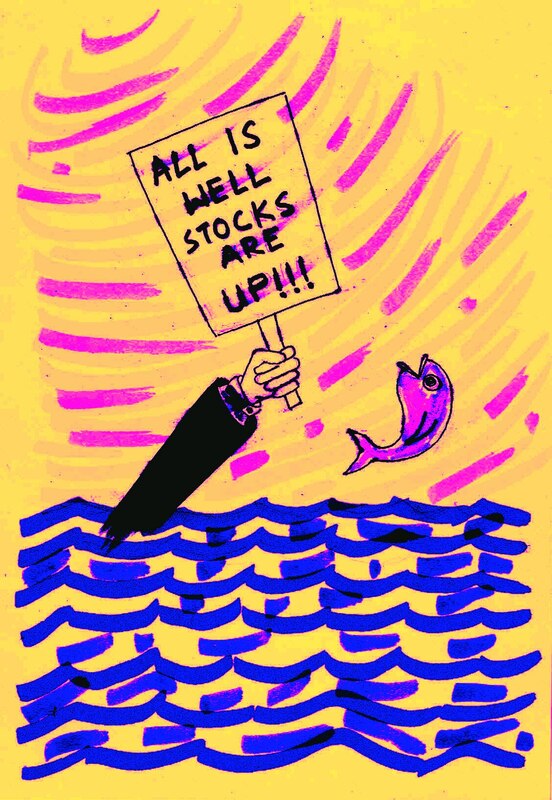 As the economy took centre stage, ` how good’ as measured goodness, became annual fashion. Spread of rainfall and intensity mattered; percentage replaced perception. Simply put, good rain is sufficient rain, where it matters, when it matters. Unfortunately it is becoming an all too familiar pattern: life on land wilts under scorching heat, everyone prays for rain and the monsoon’s passage is delayed, arrested or hijacked by unexpected developments. There are delays in monsoon – delay before onset; delay after onset, even lulls in monsoon not different from lethargy to human brought on by heat wave. Long after the monsoon’s birth and its arrival in our neighbourhood, there is the potential for cyclone, anticyclone and other such lures. Freaks are many in contemporary weather. The monsoon cavorts with these freaks. From mere rain occurring annually, we are at last noticing the complex nature behind rain faithfully delivered. Years ago when I was in school, El Nino was warming of the ocean off the coast of Chile in South America, which we studied in geography class. Now it finds mention in the news every summer, for its occurrence and non occurrence affects India’s monsoon. The interconnectedness of global weather; its vast underlying network of events – it is humbling insight. We live as we please with our growing numbers unquestioned, our ways unchallenged, ourselves above nature and none above us. Our survival is all that matters. The perspective takes its toll. What is sure from summers of the recent past and the summer of 2015 is that Indian summers are getting hotter. News reports quoting studies say extreme weather will be a feature going forward. Get ready for hot summers. She had found hot, humid Mumbai a relief. 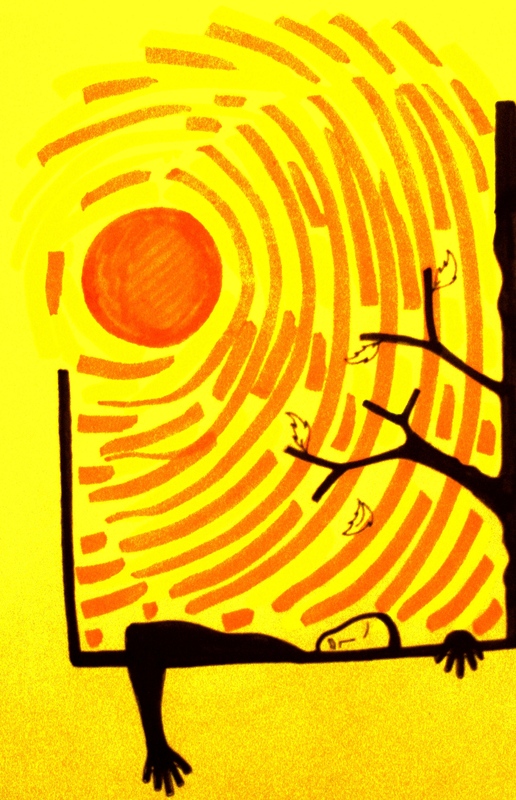 Even in Mumbai – the city that never sleeps – signs of afternoon listlessness abound. Despite the high number of deaths from heat, the issue and its underlying message haven’t seeped into India’s imagination. Occasionally in the wake of rising death toll, a few people comment on the importance of preserving forests and planting trees. A lesser number wonders about urbanization, traffic and concrete jungles as amplifiers of heat. India’s imagination is controlled by the supporters of unchanging India. I leave it to you to think what unchanging India is. To my mind, it exceeds the old, the traditional and the conservative and includes the burden of 1.2 billion people trying to survive earning money. How will such a rat race and its priorities, notice the significance of climate change? The gravity of climate change doesn’t register in unchanging India. In some days from now, when the rain drops fall, the summer of 2015 and its death toll will become statistic; another reminder, forgotten.